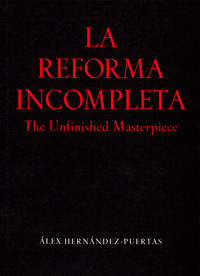 I have updated the section devoted to The Unfinished Masterpiece with new links where to buy the book, including Casa Del Libro and Amazon UK. The Unfinished Masterpiece received the IX Martín Recuerda theatre award. It’s the story of three siblings trapped in a mansion so huge that they have forgotten the way out. The play is available as a bilingual edition including the text both in English and Spanish, with both versions written by the author. Posted by Álex Hernández on Tuesday, December 7, 2010, at 0:54 pm. Filed under Updates, Plays Tags:	self-promotion, UnfinishedMasterpiece Follow any responses to this post with its comments RSS feed. You can post a comment.